You could read the content of your interest in a few days, and then you didn’t receive more content until the next quarter. There were some printed magazines, but they were monthly and you read them in a few days. Content and resources were scarce. Today, more than 20 years later, the problem is the opposite: there is so many content in so many ways that we have to use search engines to find what we need. Also, the way we learn today is not the way we used to learn 20 years ago, at least not for every developer. Some people still prefer to read the official documentation from the manufacturer. Other people prefer to learn with thick, comprehensive, books. Other prefer small articles and posts. Others don’t like to read so much and prefer videos or courses. Yet others prefer to learn reading code of samples or other apps. I’ve created this site with the goal of providing a huge directory of resources of any kind to learn about the Visual Studio family: Visual Studio, Visual Studio Code, Visual Studio Team Services and Team Foundation Server. It is not a website about .NET or about programming languages (C#, VB.NET, F#, etc. ), but only about the “tooling”, the development environments and the application lifecycle management (ALM) systems that Microsoft provides to developers to become more productive. This website starts small and modest, but hopefully it will grow in the next months and years to reach the depth of the Visual Studio Extensibility (VSX) that I created years ago for developers extending Visual Studio. To create a super portal about Visual Studio Extensibility (VSX) that not only contains my blog but also pages with all the resources available on the web about VSX. To have total control of my blog, something that I didn’t have with my old blog, and I didn’t have with the new one either. So, this is my new home. A question that appears from time to time in forums is whether the Visual Studio Express editions support extensions (packages, add-ins,…) that you create, that is, if they can be installed and can be run. The medium answer: only Microsoft extensions are supported since VS 2012, not your own extensions. Visual Studio Express editions started with Visual Studio 2005 (Visual Studio .NET 2002 and Visual Studio .NET 2003 didn’t offer them) and each version (2005, 2008, 2010, 2012 and 2013) has offered a different feature set. For example, with VS 2005, 2008 and 2010 you had language-oriented Express editions (Visual Basic Express, Visual C# Express, etc.) while Visual Studio 2012 introduced Visual Studio Express 2012 for Web, Visual Studio Express 2012 for Windows (Store), Visual Studio Express 2012 for Windows Desktop and Visual Studio Express 2012 for Windows Phone. While their capabilities have been enhanced over time, a common theme remains: Microsoft has made the (business) decision to limit them artificially (meaning that the internal code knows the SKU edition and limits the functionality). In particular, Microsoft decided that they were not extensible. You won’t find an Add-In Manager in any of them and you will find the “Extensions and Updates…” menu only in the 2012/2013 versions that while allows you to install 3rd party extensions, they cannot run, only Microsoft’s extensions can run. Why? On the other hand, to make developers to use the Microsoft developer tools (and to make companies to buy Microsoft Windows servers, Microsoft SQL Server, etc.) they have to offer some IDE version for free: the Express editions. But not powerful enough to eliminate the need of the paid versions, at least yet. And specially not enhanced by 3rd party extensions that would actually convert an Express edition into a “professional” edition. But these artificial limitations are relaxed over time. For example, now the Express editions allow unit testing, which initial versions didn’t offer. I guess that the excuse was that students need to learn automated testing, but guess what, Microsoft offers an ALM solution (Team Foundation Server) so it’s good that they can learn automated testing, continuous integration, etc.. I guess that eventually the Microsoft developer tools will be free, powerful enough and fully extensible, at least for the individual developer or small teams, in the same way that most ALM providers offer you free users in small quantities (Visual Studio Online 5 Basic users, Perforce 20 users, etc.). The software world is evolving to paying for the hardware (Apple and Microsoft give you new versions of their desktop operating systems and free apps that formerly were paid-apps) and towards software services where you pay an affordable subscription like you pay the electricity, or more recently the music, TV, online libraries, etc. However, these transitions can take time (depend on the markets, etc. ), in the same way that Microsoft embracing “open source” has taken years, and now you have the code for the .NET Framework, the .NET compiler platform, etc. Apart from the new .NET Reference Source experience, another thing that Microsoft has improved (well, has made actually work) is the Debugging .NET Framework feature of Visual Studio, which until recently was basically broken. Now, that feature doesn’t break with changes in the .NET Framework binaries due to security patches or hotfixes. 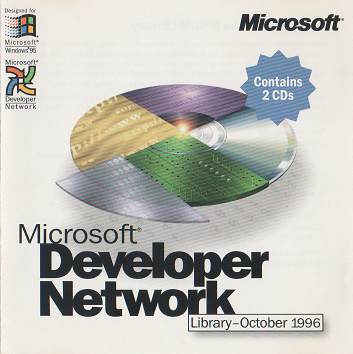 Although Microsoft’s post mentions that it works with Microsoft .NET 4.5.1, it actually works with Microsoft .NET 4.0 and Microsoft .NET 4.5, at least if you have Microsoft .NET 4.5.1 installed (since 4.5 and 4.5.1 are in-place .NET Framework updates sharing the same CLR 4.0). It definitely doesn’t work with .NET Framework 2.0, which, alas, is what I am still using in my MZ-Tools add-in (to support Visual Studio 2005/2008). But I guess that I can switch temporarily to .NET Framework 4.0 when I need to debug some .NET Framework assembly (just yesterday I needed to). Of course, you can’t debug Visual Studio assemblies with that feature because their symbols are not available, but you can do it with .NET Reflector, as I explained in my article and in their blog as a guest post. In the last weeks Microsoft has made a series of announcements that will benefit a lot to .NET developers. 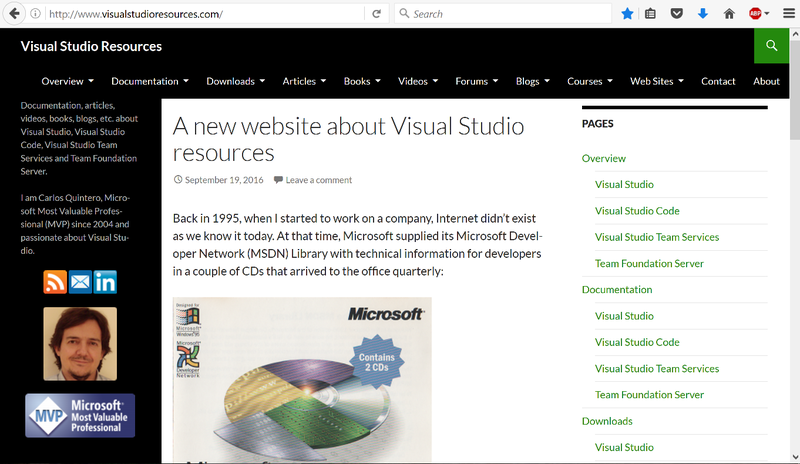 The first one is the new .NET Reference Source experience. While the http://referencesource.microsoft.com/ site has existed for a while, now it provides new tools to navigate the code like you are used to in Visual Studio (Go To Definition, Find References, etc.). This means that for some scenarios (navigating the code of the .NET Framework assemblies) you don’t need tools such as Reflector .NET or JustDecompile. Of course these tools are still required in many other scenarios, since, for example, the source code of Visual Studio assemblies is not available. You can download the code in a .zip file for off-line browsing. You don’t need a Windows computer to browse the code. A tablet or even a smartphone will work. done in some way (how a bug was fixed, etc.). That is, if the name starts with “_” (which likely means it is an interface), the class name that implements that interface is the same name without that character, which can be true sometimes but definitely not most of the time. You only need to provide your name, company, e-mail and phone to download them. Even better, they are provided in .pdf and Kindle formats. Microsoft awarded me yesterday my 11th Most Valuable Professional (MVP) title, which, as always, makes great the start of the new year :-). I will migrate my MZ-Tools add-in for Visual Studio to a package. I have been delaying this for long time, but since add-ins are officially deprecated in Visual Studio 2013, I am not sure if the next Visual Studio version will support them. Related to the previous point, I will share what I learn from the migration in the MZ-Tools Articles Series about Visual Studio SDK packages that I announced last year and that so far it has only three articles. I hope to release a unified version 8.0 of MZ-Tools for Visual Studio, VB “Classic” and VBA (64-bit support included). I devoted all 2013 to this task mainly in the architecture area, because the three add-ins share a common huge .NET-based core with thin adapters for each host. The good news is that now I hope to go faster. I will share the approach once finished. I will keep answering questions in the MSDN VSX forum (and some that I receive by e-mail). Today I have received an e-mail asking if there is a workaround to the problem that I explained in the post PRB: NotImplementedException adding a solution folder to a solution folder in Visual Studio from a macro or add-in. The trick is to cast the EnvDTE.Project.Object property to the EnvDTE80.SolutionFolder type introduced by VS 2005. If you know new Guids that are not listed let me know and I will include them.